Let’s face it – people always notice what other people are wearing. Graphic T-shirts – ones that have product images and logos on them – have become more and more popular over the last few years. So why not take advantage of the trend and put your company information on a T-shirt? When you choose to order your custom printed T-shirts through Seaboard Graphics, we’ll help you easily turn the basic T-shirt into a unique work of art. Aside from personal use and work uniforms, you can create custom t-shirts to promote your brands – wearable advertising that will make people take notice! Seaboard Graphics will help you create a T-shirt design that not only looks great, but is an effective advertising tool as well. You’ll be able to share the T-shirts with clients as gift, or give to potential customers as an incentive. Or, you’re your company unity by wearing your logo T-shirts at company events, such as ballgames and picnics. 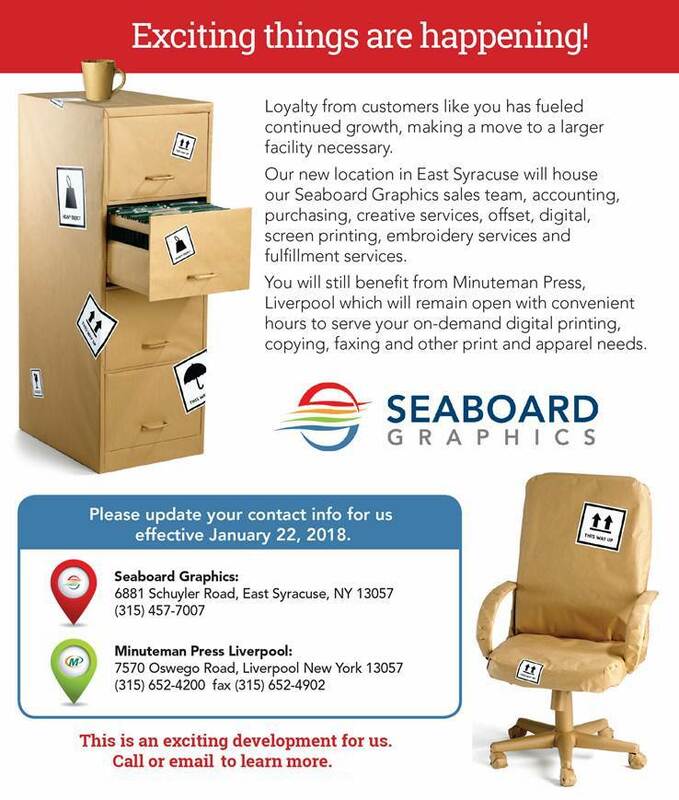 What’s more, Seaboard Graphics uses high-quality T-shirts from trusted manufacturers, such as Hanes and Gildan, so you can rest assured that your custom T-shirts will be attractive, comfortable and will last from wash to wash. 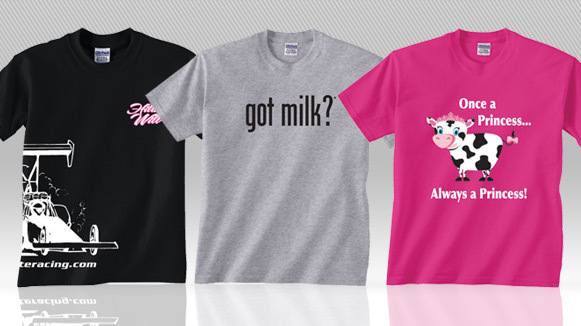 Whether you want to make a statement or introduce your brand, Seaboard Graphics is ready to help you create a T-shirt that promotes your business or organization in the best possible way. To find out more about our custom T-shirt printing services, call us at 800-721-1663 or contact us, and we will be happy to help you.